The Best Way to learn Excel and Word! 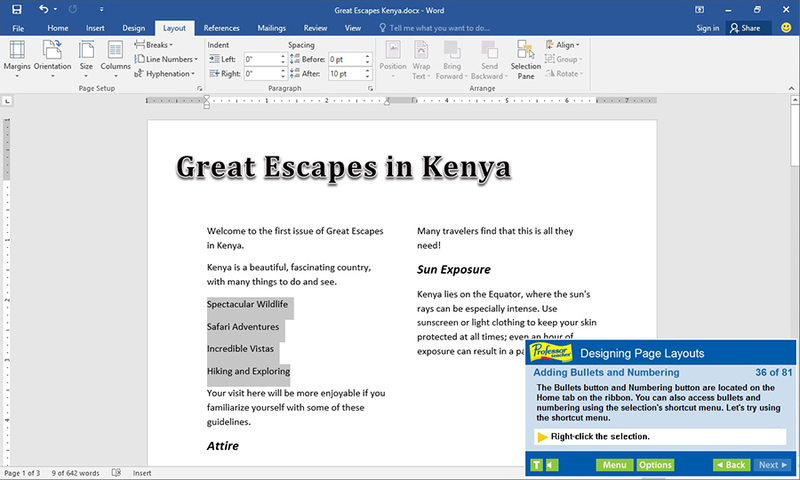 Learn to use the features of Microsoft Excel and Word 2016 to quickly create great-looking documents, spreadsheets, and presentations. 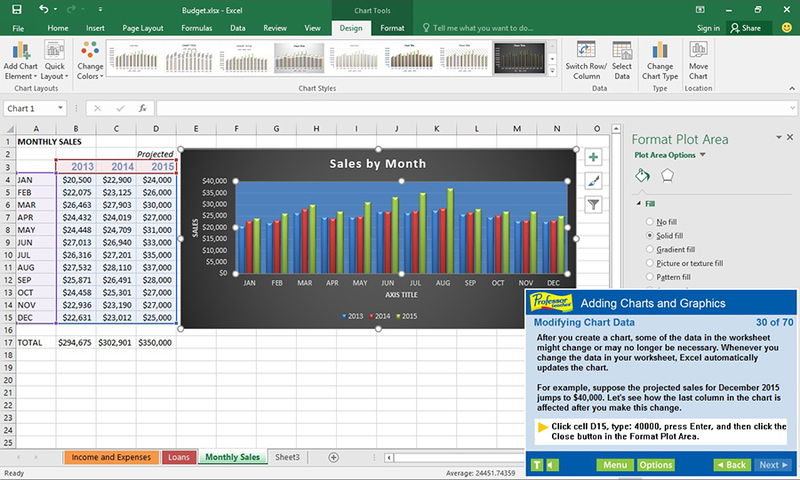 Now, you can build your skills quickly and easily and unlock the power of Excel and Word to improve your productivity at home or work. 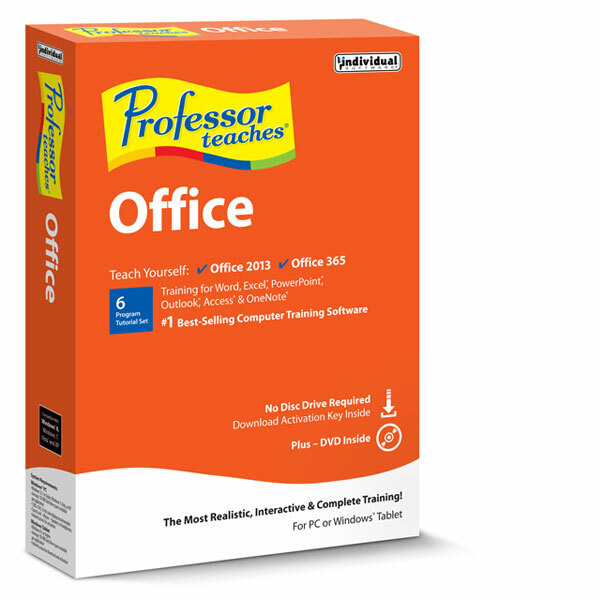 This Professor Teaches product contains tutorials covering Excel and Word 2016 & 2013 and bonus training for PowerPoint and OneNote 2016. 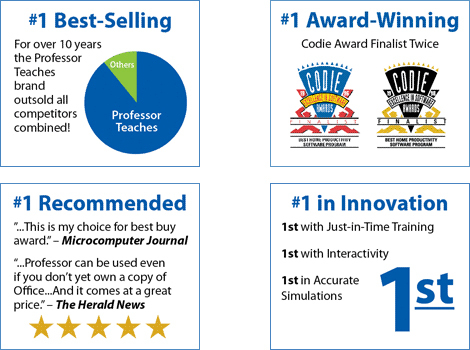 #1 Best-Selling Brand of Training Available! 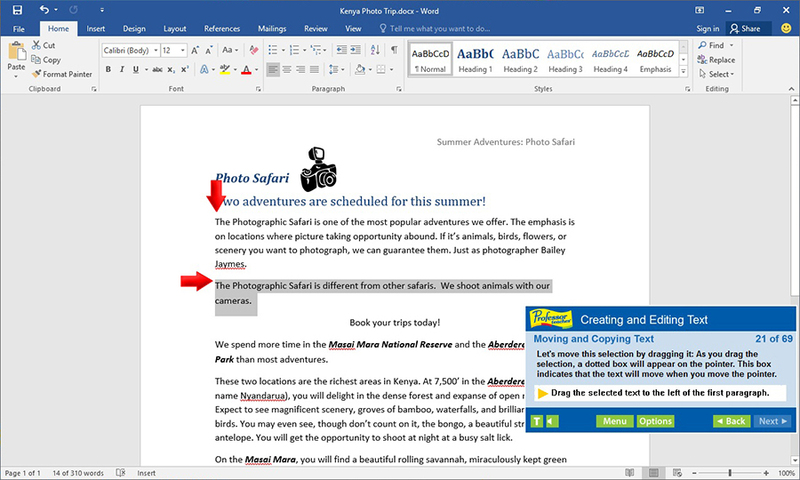 The fastest, easiest way to learn Microsoft Excel & Word! Increase your productivity at work or home! The Most Realistic, Interactive, & Complete Training! 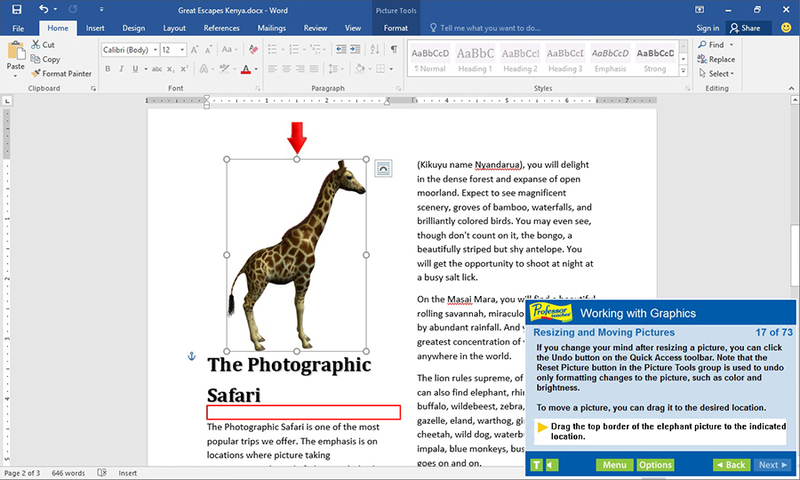 Realistic simulations provide an accurate learning environment so your transition to Excel & Word is fast & easy. More than just videos, you’ll interact to perform the correct action during each exercise for better learning & retention. 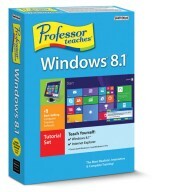 Hundreds of learning topics for beginner through advanced subjects are included. No Other Training is More Complete! 4 to 8 Hours of Training per Course. Professor Answers for Instant Training. Learn from each course or just the ones you need! Professor Teaches courses use real-world settings and accurate simulations to help you apply your new knowledge directly to daily tasks and the knowledge you gain becomes an asset for life. 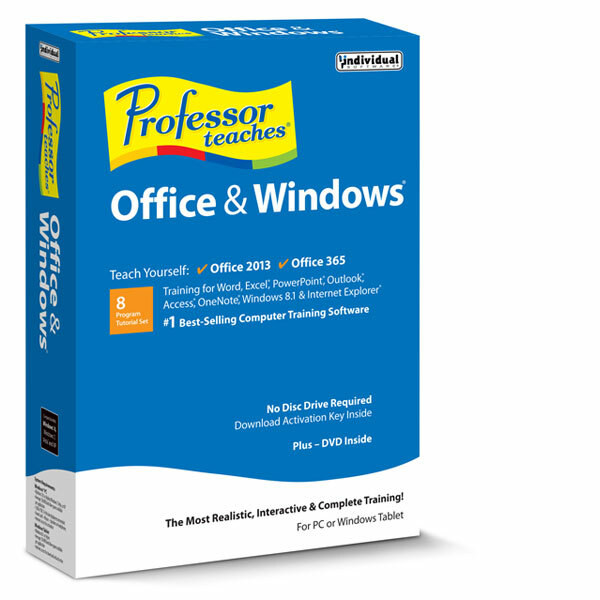 Increase your knowledge and proficiency when working with these two powerful Office programs. Improve your speed performing regular tasks by learning shortcuts. Expand your skills and become a more productive, valuable asset to any organization. 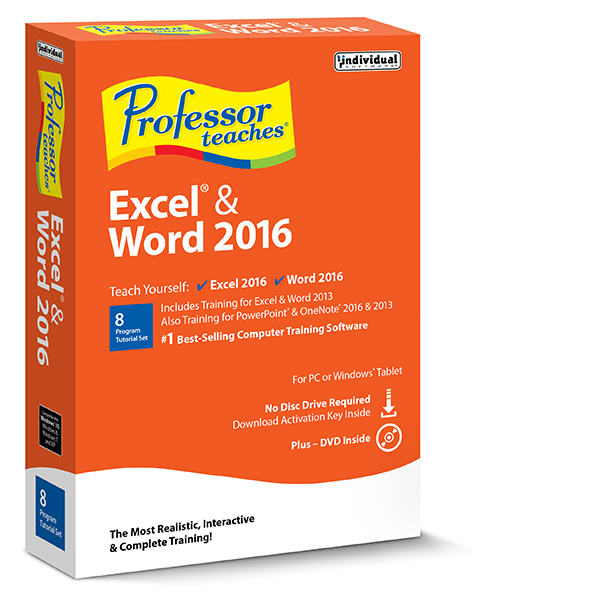 Professor Teaches Excel and Word 2016 is more personal than a classroom course and more interactive than a book. The computer-based learning puts you in control as you set the path and pace of instruction. Skip topics or review important sections and quickly meet your overall learning goals. Find answers to your questions faster and easier than Office Help. Search and Browse are just one click away to help you locate specific topic training you need, right when you need it.